The 1930’s book and film, “The Grapes Of Wrath” was a play of poverty in California. The time has come for a remake entitled, “The Wrath of Grapes.” In spite of every blessing, California has the highest poverty rate in the United States per the Census Bureau’s Supplemental Poverty Measure, including housing, food, utilities, clothing and non-cash government assistance as income. With that addition the figures are shocking to 88% of all Americans; those not living in California. One in four Californians is classified “poor” in spite of our prosperity in the high tech sector. This means reality for 25% of all Californians is worse than anything seen since the Great Depression. Nonetheless, the state’s per-capita GDP increased roughly twice as much as the U.S. average over the years 2001 to 2016, 12.5% compared with 6.27%, but all due to Musk/Zuckerberg class billionaires. State and local governments spent massive amounts on poverty programs, but many state and municipal benefit programs overlap one another. Some with incomes 200% above the poverty line get benefits as the programs are poorly administered. California state and local authorities spent $958 billion from 1992 through 2015 on public welfare programs, including cash-assistance payments, vendor payments and “public welfare,” according to the U.S. Census Bureau. With 12% of America’s population California has 33% of the nation’s welfare recipients. Three times what it should be. Generous spending has not decreased poverty; it has increased it and this has consistently been the result of profligate welfare spending. In the late 1980s and early1990s Wisconsin, Michigan, and Virginia initiated welfare reform, as did the federal government under pressure from the Republican Congress and Newt Gingrich’ “Contract with America,” 70% of which President Clinton signed into law and now brags about! A true Democrat. The common thread in reformed welfare programs was a work requirement for public assistance recipients. The programs were successful and welfare rolls plummeted as millions of aid recipients went to work! They earned feelings of self-worth and reliance much to the shock of California socialists. Nonetheless, California recipients of state aid receive a disproportionately large share of it in no-strings-attached cash disbursements at the insistence of the California elected folk. Welfare reform passed in California by incorporating a dependency trap. Immigrants falling into it with 55% of immigrant families in the state getting benefits, along with Democrat voting registration forms that make them felons on signing. If California’s poverty rate is ever reduced many bureaucrats will lose their jobs. Thus, public agencies do everything to maximize budgets, increase power, status, job security and the inverted salary pyramid. To keep ballooning its budget and power, welfare bureaucracies have an incentive to expand their “customer base” by building the rolls. With 883,000 full-time state and local employees in 2014, California has an enormous, unionized bureaucracy exercising massive power with votes and lobbying money. It is wholesale corruption. Further contributing to the poverty problem is California’s housing crisis. Californians spent more than 33% of their incomes on housing in 2014 when every personal economics reference states it should not be more than 20%. This is 60% more! The shortage of housing is caused by insane environmental regulations driving prices ever higher while far outrunning income growth. Counties and local governments have imposed restrictive land-use regulations driving up land prices for homes. Middle income families are forced into lower standards of living while the less fortunate are driven into poverty by the outrageous cost of housing. Any attempt to solve the worst of these problems with “tiny houses,” for example, is met with official objection. The California Environmental Quality Act (CEQA), passed in 1971, is an example of “green” insanity that put the state on the path to the ruin. It adds ten to 20% to the cost of building with very few benefits. Greater insulation, double and triple paned windows work and may be worth the expense, but only because the elected people have run the cost of energy up 20% to 50%, with more increases to come! CEQA costs have shut down home-building projects. Reform would help housing supply, but there’s no movement to change the law as it is a bureau builder. And, liberals love bigger bureaus. Extensive environmental regulations aimed at reducing carbon dioxide emissions make energy more expensive and hurt the poor when it is easily shown CO2 does not heat the atmosphere! California energy costs are 50% higher than the national average. Jonathan A. Lesser of Continental Economics, author of a 2015 Manhattan Institute study, “Less Carbon, Higher Prices,” found that “in 2012, one million California households are in “energy poverty,” with energy costs exceeding 10 percent of household income, the long-standing limit in family economics. In some California counties the rate of energy cost increase is 15% to 17% for households. Increases on the poorest households are unaffordable so they are cold in the winter and hot in the summer and suffer expected health consequences. California lawmakers recently passed a measure raising the minimum wage from $10 an hour to $15 an hour by 2022 but studies clearly show such laws result in the failure of small businesses, the major employers of poor people! In these cities 60% of the poor lost their jobs when such laws were passed. A Harvard study found for every Dollar minimum wages rise, 14% of the businesses that employ low wage workers close. The California legislature wants to build a high speed railroad originating more than 100 miles from downtown San Francisco and running to a point 100 miles from downtown Los Angeles while the cities are well-served by aircraft. Train passengers would have handle baggage four times instead of two, take a two our bus ride to the train station and spend all day on a trip now done in two hours and pay four times the current fare! However, legislators could make millions on land options as the route will be kept secret long enough for them to buy options on the sly. The legislators also talk of secession from the United States and are now counseled by hired former US Attorney General Eric Holder to escape the Trump Administration’s enforcing Federal laws on Marijuana, a Class I narcotic, where Californians will lose property and assets in Federal drug seizures and immigration enforcement. The “resist Trump’s agenda” movement enacted the first state-level cap-and-trade regime and established California as a “sanctuary state” for illegal immigrants; banned plastic bags, destroying the jobs of thousands of workers involved in making them to claim a dubious victory for environmentalism while inconveniencing all the citizens! 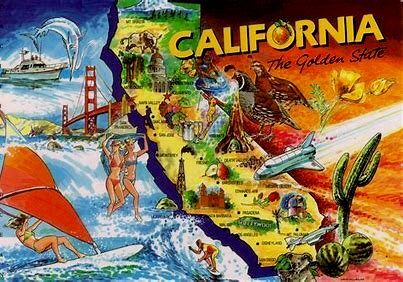 All this reinforces America’s perception of an out-of-touch Left Coast, to the disservice of millions of Californians whose values are traditional and would better serve the people. California’s de facto status as a one-party state is the cause of poverty and forces the conclusion the Democratic Party needs a dependent class, people needing government to survive. With a permanent majority in the State Senate and Assembly, a prolonged dominance in the executive branch, and a weak opposition, California Democrats have long been free to increase corruption to nightmarish levels, and they have. I filed my state income tax for the year 2007 per law and without thinking included a short note regarding an error in the state’s instructions in the deductions section where they called for the subtraction of a negative number at a point where the right set of numbers could cost the state a lot of money as in math two negatives equal a positive creating an addition and not a subtraction. If anything I expected a thank-you note, but apparently offended someone as two years later I received a dun, with a healthy fine and an interest penalty that would be considered “usary” so I went to my 2007 record files and there I found the Franchise Tax Board, FTB, had not cashed my check! I had not noticed as it was at the time I switched to on-line banking and was no longer resolving my account every month as it was updated by the bank every day and I examined it once a week. Not long after, the FTB hit me with a dun for $700 claiming the IRS had reported to them I made $10,136 more in 2007 than I reported on my return! I asked for a copy of the IRS letter and the clerk said, “That would be illegal.” It is not illegal for me to see correspondence on my tax return. Checking with the IRS revealed they had no record of any such a letter. I then contacted my State Senator and Assemblyman, working with their staff who were sympathetic, but ineffective. Then the FTB took $1,000 from my Bank of America account! The bank manager told me this was done on a phone call! No court action, no document, a phone call and they charged me $150 for doing it! Meanwhile, having learned the FTB is not responsible to anyone, but the Governor I called his office and struck up a friendship with a young man therein who advised me to call the Attorney General, Kamala Harris. I managed to get her on the phone, but it was clear to me she was not interested in my case. Not one bit! Frankly, I was not impressed with this lady who now wants to be President. It was clear to me my accusations and evidence were not news to her. she was in on it! 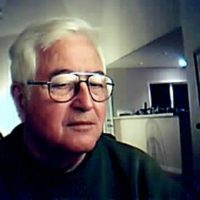 I made an article of it, published it in “California Political News and Views,” by Stephen Frank and got over 100 responses. All are documented in my Amazon CreateSpace book, “The Evil California Franchise Tax Board.” Given Frank’s exposure, response numbers and some math, it appears the CA FTB is pulling this gag on senior citizens who are afraid of them, and take over $1 billion for state tax revenues! This is a depth of corruption never before seen, if it is true, and believe me, I would welcome proof to the contrary as I have lived in California 58 years. Democrat Liberalism is the Root Cause of Mass MurdersWhere does the Truth Lie?